with Priestess Christy Michaels, M.A.& Rev. Patrick McCollum, and Connie Viveros. 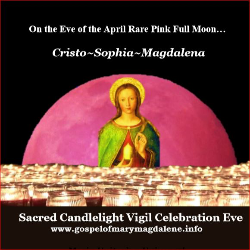 Cristo-Sophia, Magdalena-Quan Yin, Manifestation of Tara, Shekinah or your Higher Self. 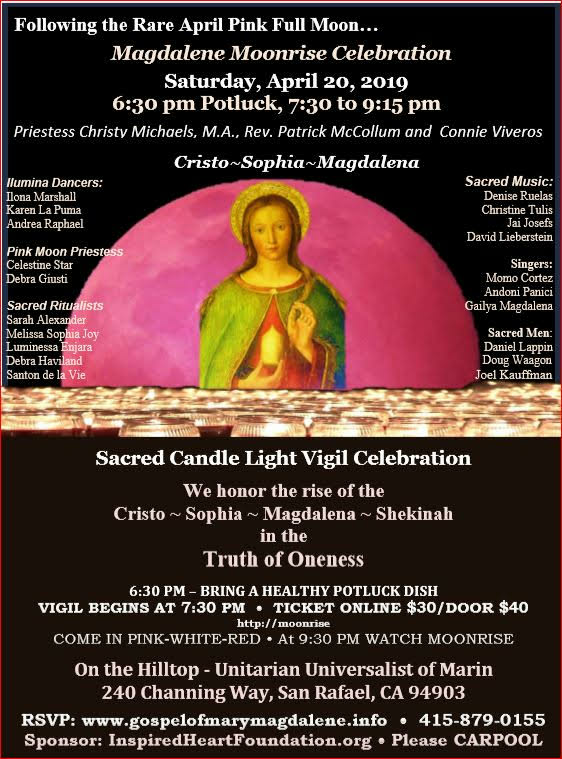 Receive your candlelight to be lit by the Lumina Dancers. - Jai Josefs on Guitar - David Lieberstein on Flute, Didgeridoo, etc.